Implementation in Italy of Directive 2005/56/EC of the European Parliament and Council on cross-border mergers of limited liability companies. Cross-border mergers of limited liability companies in the European Union are regulated by Directive 2005/56/EC of the European Parliament and Council. This directive, also known as the "Tenth Directive" was introduced in Italy by the Legislative Decree no. 108/2008. According to this decree, the cross-border merger can be defined as the operation, mentioned by Article 2501 of the Italian Civil Code, made between one or more Italian companies and one or more companies of another Member State, that gives rise to an Italian company or a company of another Member State, with the exception of transfers of the company. Moreover, according to the decree no. 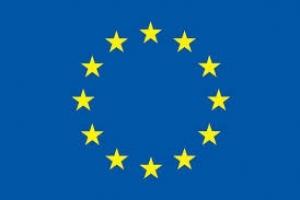 108/2008, limited liability companies are also the companies of a Member State of the European Union which have legal personality and are equipped with capital. About the scope, the decree shall apply to cross-border mergers between one or more Italian companies and one or more capital companies of another Member State and having their registered office or central administration or principal place of business in the European Community.